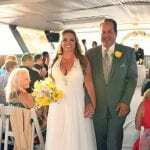 Want to create an unforgettable wedding your guests will always remember? 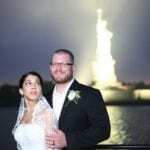 How about providing a moving panorama of one of the most magnificent backdrops in the world for your affair? 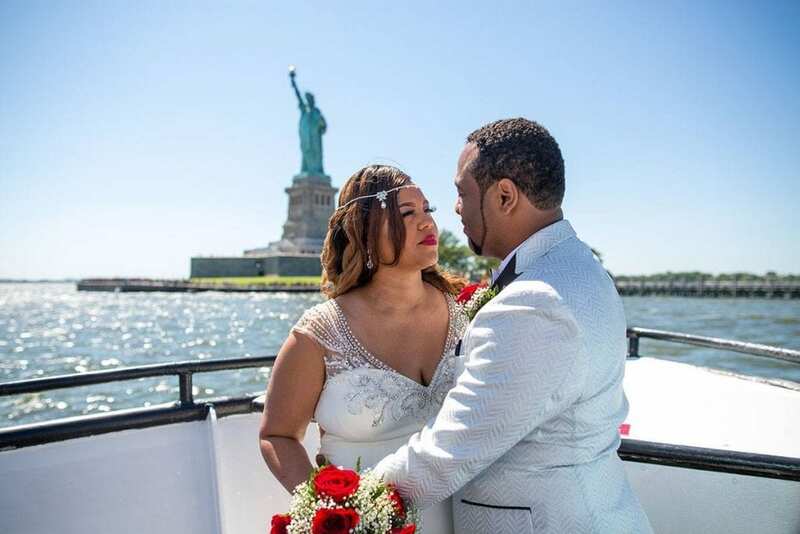 Do you have guests in from out of town that would be awed by the sight of the Statue of Liberty, while dancing under the stars at your wedding, civil union, or engagement party? 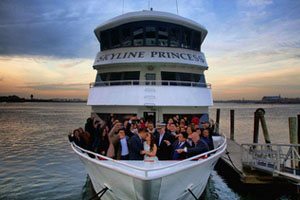 If you answered yes to any of these questions, a luxury New York City yacht charter cruise on the Skyline Princess may be just what you are looking for. It costs much less than you think. 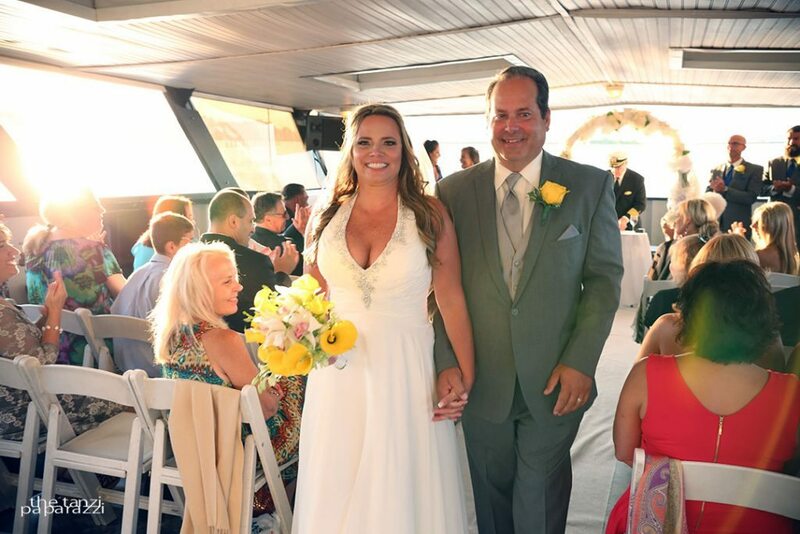 We pride ourselves on providing wedding cruises & commitment ceremonies. We customize to your specifications & execute to perfection. 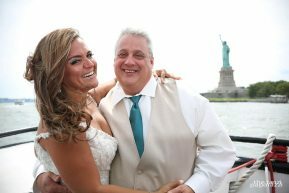 Engagement parties and anniversary celebrations become unique & unforgettable when you’re cruising NY Harbor or Long Island Sound. 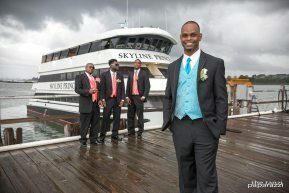 A Skyline Princess yacht charter, with its three levels and a private bridal suite, offers a unique layout making ceremonies, cocktail hours and the wedding reception possible in different rooms or in any combination you request. 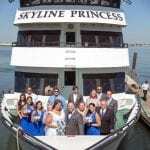 The Skyline Princess was specifically designed for year-round, all-weather operation. So, no matter what the weather is like on your special day… you will always have full use of all our event decks and your plans will never have to change. 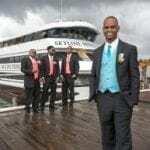 So, treat your guests to something special, a Manhattan Skyline yacht cruise aboard the Skyline Princess for your wedding, engagement or anniversary party. 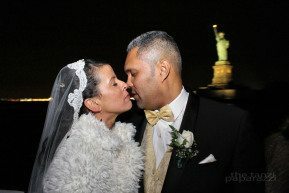 We have wedding packages starting $71, work with one of our in-house wedding planners to create your needs and budget. P.S. Your photo album will be envied by all who see it! 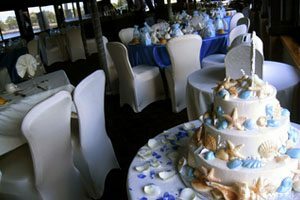 Call us for more details on your big day!